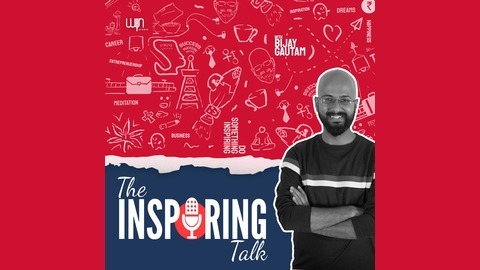 The Inspiring Talk is a weekly podcast show where host Bijay Gautam interviews today’s most successful and Inspiring personalities every week to help you realize your inner potential. These successful people ranges from Authors of best-selling books, Entrepreneurs, celebrities, sport-persons, thought leaders and personalities who has achieved some amazing things in their lives. New episode of this podcast is released every Monday with a very special guest who not only shares with you their success story but also the challenges and obstacles they’ve faced and how did they overcame them to finally achieve what they wanted. Visit http://theinspiringtalk.com for latest updates and information. Well that's exactly what happened with my guest Chetan Mahajan few years back. He was put behind the bars for the case against his employer. After this episode, Chetan was terrified and had nightmares but he didn't let that define his life. He wanted to make something good out of the darkest phase in his life. He went on to write a fairly popular Book called The Bad Boys of Bokaro Jail published by Penguin. Chetan has served in several corporate leadership roles in his life before he packed his bags and moved to a remote village in Uttrakhand with his family. He runs Asia's first writing retreat called Himalayan Writing Retreat which offers a wide variety of retreats and workshops for writers. He is a TEDx speaker and passionate blogger. I met chetan at Professional Speakers Summit in Chennai where we both were sharing the stage and I was very Inspired after listening to his story and invited him to share the same with you all. 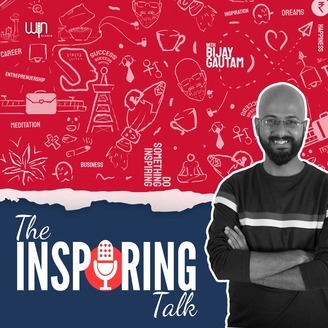 We chat about how Chetan landed up in jail, how was it like to be there, how he dealt with that phase of his life his story of moving to live in a village and a lot more.